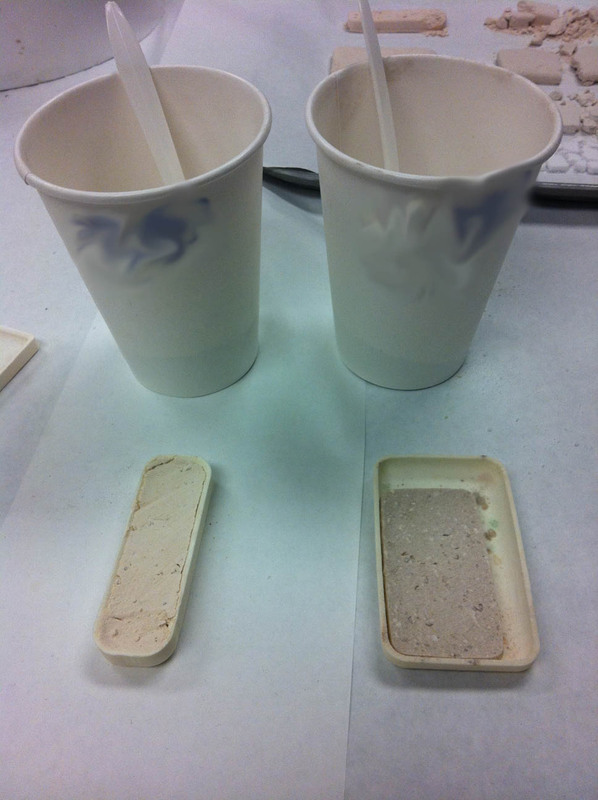 WIP (Work-in-progress)… We’ve been working at recreating the results of the April’s Fool by systematically testing various mixtures of ceramics, glasses and fluxes at a variety of temperatures. Seem like we’re making some progress. Here’s an example of a glass-ceramic at two different mix ratios that both appear to have fired successfully. 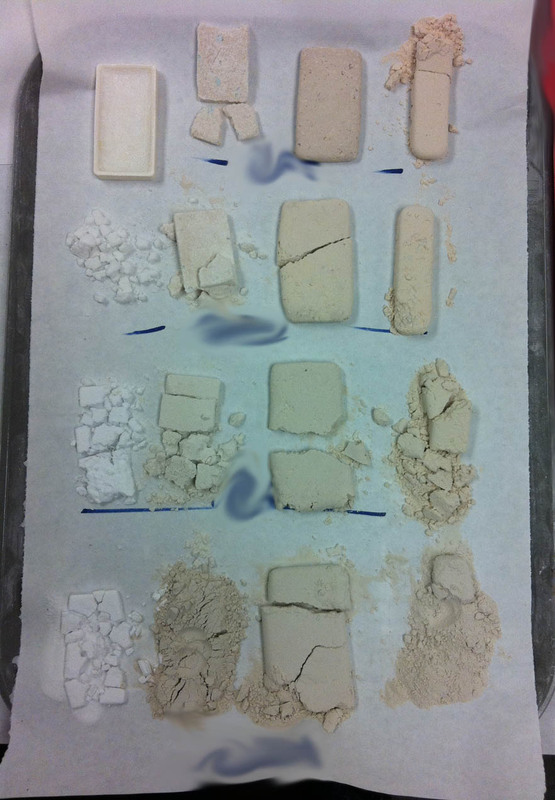 Here’s the results of various temperature runs at two of the glass-ceramic mix ratios. Looks like we could be printing in these materials soon …. What is the difference between all the samples? are you increasing the amount of binder? The differences are both the composition materials, and type of binder and firing schedules. We released a ceramic-glass composite system at SAMPE June 2014. But in one column, the difference between the crumbled samples and the solid samples is just the temperature? Sebastian, either temperature or hold time at a given temperature. Sorry I no longer have any data for that activity. I can tell you it is higher temperature on top (as you notice one of the ceramic samples is melted into the alumina boat).